St Leonard’s Hospice is an independent charity, providing specialist palliative care and supports patients and their families from York and the surrounding areas with life limiting illnesses. Support and services are provided in the in-patient unit and they also provide a home service for those wishing to remain in their own home. The in-patient unit provides patients with a peaceful environment to receive personalised nursing care and therapy interventions, tailored to their individual needs. It has twelve single ensuite rooms and two four-bedded bays with shared bathrooms facilities. The unit has been designed to be completely accessible and allow patients to enjoy the local countryside and courtyard gardens, whilst still in their beds. The hospice staff and management are constantly reviewing new practices and equipment that can assist with the dignified nursing of their patients as well as allowing best practice in people handling. During their research they wanted to trial the Ekamove Patient Turner by Mangar Health as it appeared to meet some of their essential criteria for new products. All the patients admitted to St Leonard’s have life limiting diagnoses and therefore it is essential that their care should enable them to live as well as possible and to reduce the effects of the symptoms they are experiencing. 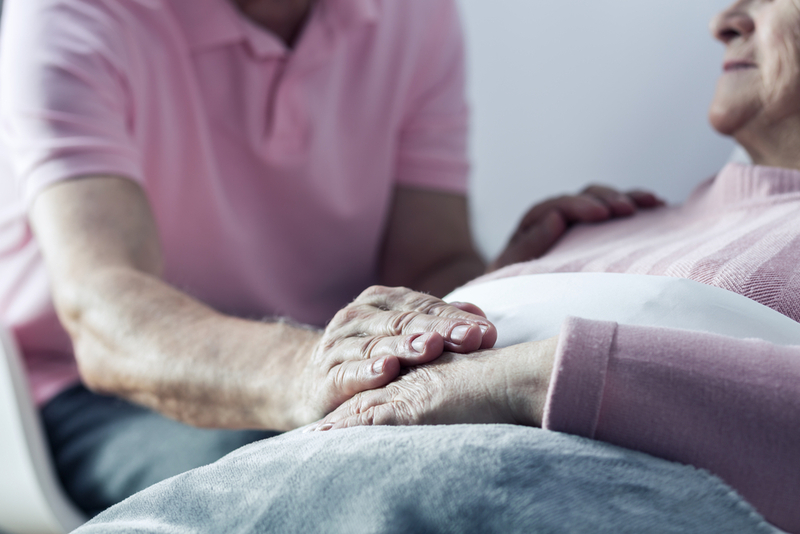 Pain is potentially an increasing problem towards the end of life and any hands-on care can cause significant discomfort and distress to a patient. Fatigue makes any move, which requires assistance difficult, it puts additional physical effort on the nursing staff. Frustration can have a detrimental affect on a patient’s psychological well-being and anything that can reduce this feeling will support an improved sense of well-being. Skin integrity management is vital for those at the end of their life having equipment that can avoid, improve or prevent tissue breakdown and is always a critical part of any nursing plan. The St Leonard’s staff spoke about the end of life care, stating that often patients are cared for in bed for a considerable amount of time. When this happens, it is an essential part of their nursing care to alter their patient’s position regularly, to avoid pressure ulcers, manage pain and reduce discomfort. Traditionally they have used a pressure relieving mattress alongside manually moving and handling to alter their patients position, this can severely affect all the key issues they highlighted above. They expressed the need for equipment that provides a solution to make the experience both comfortable, effective and dignified for both the patient and staff and the Ekamove did this for them. The Ekamove is an automated, sensor-controlled patient positioning system for single-handed care, which can be programmed to meet the individual needs of the patient. It is designed to gently and quietly turn patients up to 30°, without the intervention of a nursing staff. The Ekamove air chamber is placed under the mattress and is inflated to laterally lift the patient lying on it. It is operated via a control unit, which allows a nurse to select a position and time for each step of the process and therefore give a better and personalised experience for the patient. Pain relief – the hands-on patient care could be kept to an absolute minimum and therefore reduce pain enormously. Pressure management – The Ekamove showed that it has a positive effect on pressure ulcer recovery, allowing them to improve due to reducing pressure on specific areas. Safety – by reducing the people handling, the nurses where not doing a repetitive physical task thus reducing the impact on their musculoskeletal system and avoiding any potential work place injuries. Flexibility – the ability to programme the tilt at any angle between 0 and 30 degrees allows individualised care for patients. Dwell times can be set between 10 minutes and 210 minutes and there is the option to tilt to just one side. Time efficiency – the reduction of staff time having to manage turning, allowed them to concentrate on other tasks for their patients. Ease of use and programmability – The Ekamove allowed for flexibility and enabled the nursing staff to re program as and when their patients needs changed, with minimal intervention and physical effort. Storage – The nursing staff stressed that how important it was that the Ekamove could be easily stored, fitted and re used and were delighted by its compactness allowing for it to be stored with ease and lifted and fitted without a specialist required. It could also be used with their Hospice at Home service as it is so easy to lift and carry. It is important for senior management to see not only the clinical but the financial benefits, St Leonards provides its services free of charge and relies on the generosity of the public to help raise the funds to keep it running as it receives limited statutory funding. Any equipment that helps to reduce costs in staff time, potential reduction of sick leave due to reduced injuries during people handling, improvement of the management of pressure ulcers and reduce pain is beneficial in all aspects. St Leonard Hospice stated, their first priority when looking at using any new piece of equipment was that their patient’s symptoms were relieved and not exacerbated, on using the equipment with a number of patients the Ekamove has had a positive impact on their patients well being. Their second priority was that the nursing staff find it easy to use and it does not impact on their own health and well-being. The Ekamove reduced the people handling and could be re-programmed as the patient’s condition changed without any impact on the nurses’ musculoskeletal system and thus potentially reducing potential back injuries. When evaluating the Ekamove, the evidence is clear, it showed the benefits not only for the patients, but also the nurses.